​Heavy duty polyurethane caster for aerospace.  An aero industry development center of air force. The caster supports airplane molds during the manufacturing process. It requires not only extreme load capacity but also able to be pushed across the in-floor towline slot effortlessly. Also, the caster needs ​smooth mobility to move precisely for laser positioning. 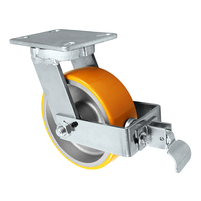 ​Our ​92 Series Xtreme Heavy Duty swivel caster with a Polyurethane on Ductile Steel Core Wheel (Regal DSU) with a Face Contact Brake was specified. This high grade polyurethane tread wheel reduces the force needed for movement, and allows the wheel to roll effortlessly with unmatched load capacities in its class. The polyurethane wheel tread rejects debris, resists most chemicals and provides floor protection and non-marking performance. The face contact brake is an ergonomic and foot operated solution to secure heavy loads.